CafeSolo, the EvaSolo coffee maker. Coffee is a complex drink, yet a simple ingredient, suited for cosy moments. enriches, simple and enjoyable moments. The neoprene cover, besides being aesthetically appealing, keeps the coffee hot for half an hour. Design and functionality as one once again. 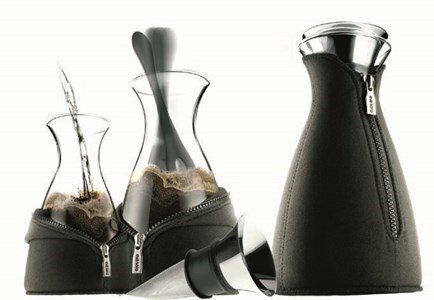 Place the filter funnel and the tip-up lid in the flask, leave the coffee to brew for 4 minutes and it is ready for serving. Made out of borosilicate glass, silicone, stainless steel and neoprene. 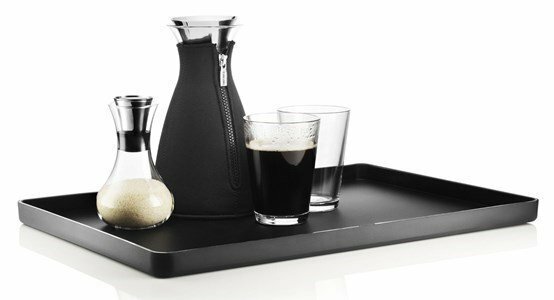 It includes a non-dipping patented system by Eva Solo, so that you can taste your coffee till the last drop. The cover should be handwshed in cold water.